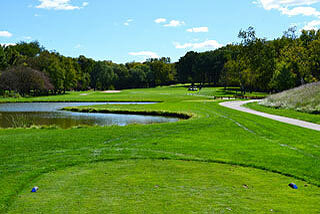 Old Oak Country Club in Lockport - just 30 minutes southwest of downtown Chicago, is my kind of golf course! This par 71 6700 yard layout was originally designed in 1926, and possesses tradition and character that make it worthy of a four-star rating. 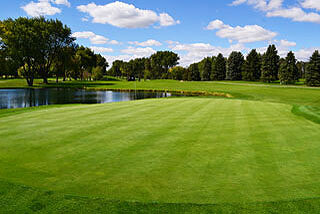 Wonderful conditions and a friendly staff help to make round here extremely enjoyable. 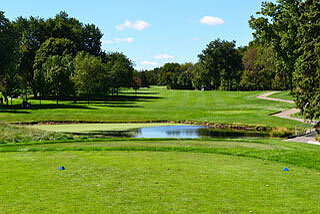 The course features manicured bluegrass grass fairways that are shaped and defined by mature willows and hardwoods with a smattering of pines as well. 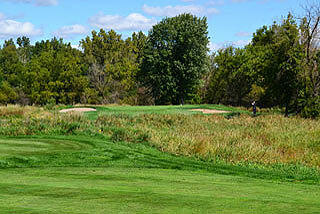 The environment is secluded and the terrain is quite rolling, with many elevated tees and raised greens. To score well, golfers will have to hit it straight, and land in the correct portions of the frequent doglegs that bend in either direction. 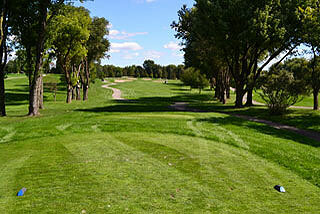 The layout was designed to challenge and reward - and this means utilizing accuracy and distance. Three sets of tees allow players to choose from distances and slopes that measure 6701 yards/124 slope, 6308 yards/119 slope and 5298 yards with a slope of 114 from the forward tees. 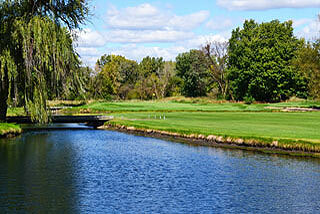 Water comes into play on eight holes, and there are over 50 sand bunkers situated along the fairways or greenside. 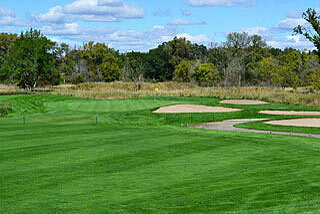 On property is a practice green and short game area, but no range. The clubhouse features a pro shop and a restaurant/lounge that serves breakfast and lunch menus. There is a separate banquet facility that is beautifully appointed, and can handle groups of 150 or more. On course, yardage info is provided by the Kirby Marking system - with blocks posted every 25 yards from 200-100. Sprinkler heads are also measured to the center of the green and 150 yard stakes are visible on all par fours and fives. On our visit the bent grass putting surfaces, which are small to medium in size and are usually sloped from back top front (keep it below the hole), were in great shape. 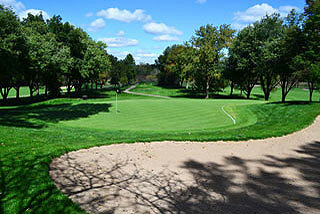 Many of the green complexes have bunkers on either side, but with open fronts on all but a few holes. Golfers will find opportunities to use all the shots in their short game arsenal, from running chips to high arcing lobs. The design rewards well placed tee shots. The par four 8th (both photos above) is a good example. Golfers need to avoid the water hazard, but the tee shot must be placed on the left side of the fairway, as trees guard against an approach from the right on this uphill dogleg right. You will find a lot of old oaks on Old Oak - plus mature willows and other hardwoods as well. The trees shape this layout...and also are the main hazard. The undulating terrain provides uphill and downhill shots that also challenge a golfer's ability to choose the correct club. This is a beautiful course - and one that we highly recommend! For more info, visit our page for Old Oaks, with direct link to their website by clicking here.